Just one week following the launch of the Miku x Domino’s promotional campaign, a couple of the company executives (pictured above) agreed to sit down for an interview to comment on the success of the campaign. The word “successful” doesn’t even begin to describe the level of feedback incurred by the promotion. The most important question of the interview was on the popularity of the campaign, and which regions showed the most activity. Mr. Karasawa commented that the campaign caused an increase in demand much higher than they anticipated, as much as 10X in some regions (with Akihabara ranking the highest, unsurprisingly). 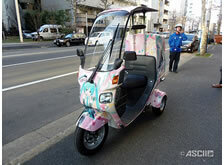 The company has had to quickly ramp up Miku pizza box production to meet the demand. 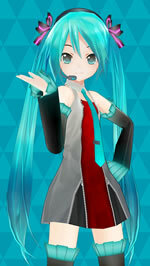 The next question highlight was on Domino’s decision to use Hatsune Miku in their promotion. Mr. Karasawa commented to say that the most popular demographic of their company within Japan has always been young adults in their late teens and early twenties. Over the past decade, the number of orders being placed online has skyrocketed. Based on these observations, Hatsune Miku seemed like the perfect choice for appealing to their target demographic. Perhaps too perfect, as the company just can’t seem to keep up with the demand. 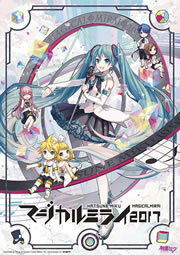 The company had also intentionally planned to have the promotion ready in time for Miku Day (3/9). On that day, there was a special coupon usable within the Miku Domino’s app that gave you 34% off of your order. Combined with the 5% discount of ordering online, this gave a total of 39% off the entire purchase. 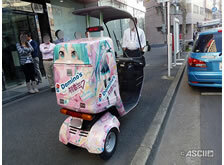 The pizza boxes and app weren’t the only special aspect of the promotion, as Domino’s had also equipped a few of their delivery scooters with Miku-themed decor. Only a few of these were produced, so you’d be pretty lucky to see one of these rolling up to deliver your order. I wonder if the company would consider selling them once the promotion ends?